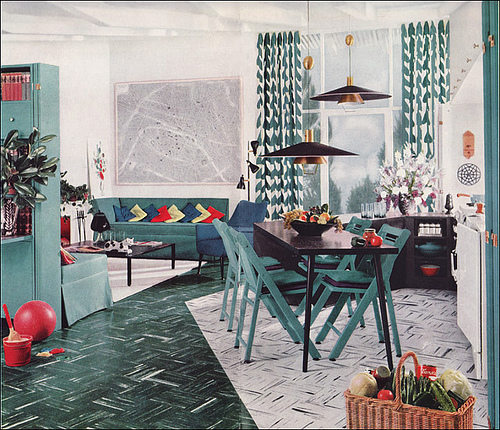 1950s Modern Design – Living Room by Armstrong, originally uploaded by American Vintage Home. We are getting a new appartment and I’m dreaming of how I’m going to decorate! I will post more images from my files intitled “appartment ideas” very soon.